Donatello created a terra cotta Bust of Niccolo da Uzzana in the 1430s to memorialize the man who had been the Gonfaloniere of Justice in Florence. The Bust of Niccolo da Uzzano is attributed to Donatello but there has been considerable debate surrounding that assumption. The piece is of exceptionally high quality and appears to have been created shortly after Uzzana died in 1433. Scholars have argued that sculptors Piero Torrigiani or Desiderio da Settignano might be responsible for creating this half-bust which is considered to be the oldest of its kind from the Florentine Renaissance. Niccolo da Uzzano was an important public figure who was represented in fresco pieces in churches throughout Florence and on commemorative medals. The choice of polychrome terra cotta as a material for this bust is a nod to classical antiquity. The figure is sculpted to just below his chest with the torso draped in a red robe. His shoulders are slight and his features are subtly well-defined. His closely cropped hair reveals a high forehead and sallow cheekbones. He appears proud and moralistically superior with his eyes cast to the side as if to avoid confrontation. 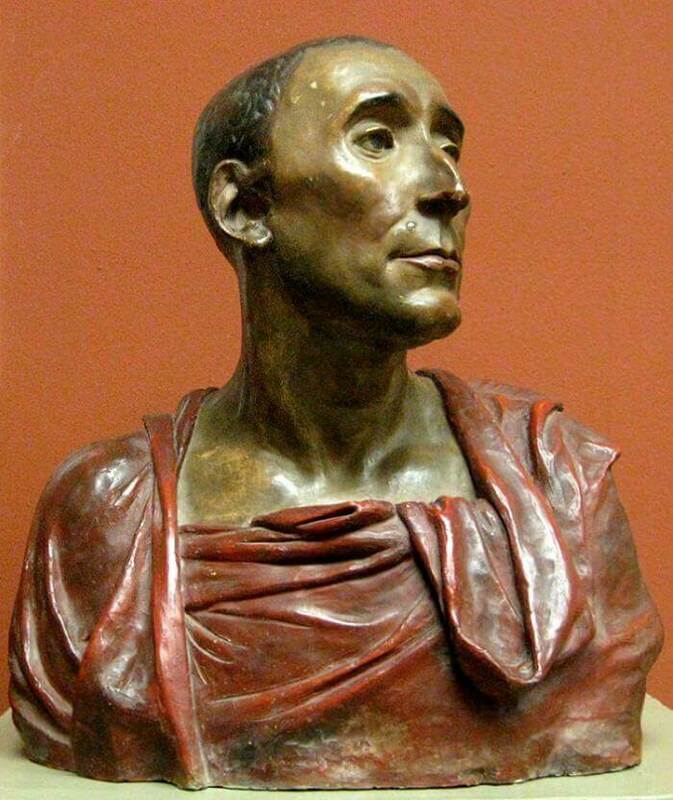 Donatello's bust of Niccolo da Uzzano is housed today in the permanent collection of the Bargello in Florence.